Home » Toys For Tots: Update! From board games and dolls, to stuffed animals and superheroes, we want to make sure we have something for everyone. Our office is located at 7027-A Manchester Blvd, Alexandria, VA 22310 in the Festival at Manchester Lakes shopping center, and we’re accepting new, unwrapped gifts from 9AM until 7PM through the week, and from 9AM to 6PM on the weekends. We hope to see you soon! Episode 11 | What’s Coming Soon? Tom and Susan came back from New York with some inside scoop! Will night-time photography help your home sale? We are looking for a listing/marketing coordinator! We are hiring – assistant closing manager! Model is open at the Crest of Alexandria! Should you add granite counters and stainless steel appliances? Help us in supporting Backpacks 4 Kids this year! Check out Footloose at Hayfield Secondary! Tom visits the world’s best grills! Active adult community in Kingstowne? Yes, please! Madness in March is great…unless you are selling your home! Fireplace Tips: Warm Your Hearth This Holiday Season! Camp Kreeptowne: Haunted House in Kingstowne! Upcoming Events at the Workhouse Arts Center! We are hiring real estate agents! Fun and Silliness on Red Nose Day! Wear Your Red Nose on Red Nose Day! What to do on Mother’s Day (Sunday 5/8)? Cindy & Ray have dinner at Del Ray Cafe! Check Out Haute Dogs & Fries in Old Town Alexandria! What’s next for the Kingstowne Town Center? Interested in real estate? Come join our Listing Department! Long & Foster named Most Trusted Residential Real Estate Broker! Catching up with Jo Ellen Nash at the Mastery Summit! Help us support Toys for Tots! Halloween events–Northern Virginia and DC! Goat Scavenger Hunt in Alexandria, VA! New subdivision planned on Telegraph Rd near Mount Air and Fort Belvoir! New Wegmans set for June 14th launch date! Springfield Town Center: Nordstrom Rack is finally here! Start off your St Patrick’s Day celebrations in Old Town! Wegmans hiring for new Alexandria store! Hayfield Drama: Awesome Hairspray performance! Congrats to the Lady Eagles on winning districts! Autumn Chase to add four BRAND NEW home sites to the community! New Silver Line Metro Opening Soon! Things to do: The Halloween Edition! Springfield Town Center is finally OPEN! Alexandria: Hilltop Village Center and Wegmans Update! Springfield Town Center–Maggiano’s, TopShop & more! La Madeleine Coming Soon to Kingstowne! Christmas On The Potomac at the National Harbor! Looking for a summer rental property? I-95 Express Lanes are now open! Volunteering, Secret Santa, The Legend of Stu Burk & MORE! We are hiring for an Assistant Listing Manager! Hassle Free Hosting: Thanksgiving & Christmas! New Restaurant Open at Springfield Town Center: Nando’s Peri-Peri! New Luxury Homes in the Kingstowne area! The 38th Annual Fall Festival! Springfield Mall to re-open as brand new & improved Springfield Town Center! Edison & Mt Vernon Girls Basketball to compete in 1st round of states! Tips for downsizing your space! One million pibble march on Washington D.C.
Lots of events this weekend! Great Ideas for Halloween Fun! Island Creek Elementary 5K Race–Calling all Runners! Market Updates–Alexandria, Springfield, Lorton, Fort Belvoir and more! Tips to make your home more "green"
Great ideas for improving curb appeal! Fort Belvoir Expansion: BRAC, Hospital and More! Things to do Dec 14-16: Alexandria, Springfield, DC and more! Fairfax County Parkway: New Route Number! Area Food Banks Need Your Help! Tom & Cindy ranked #72 in the nation by Real Trends & Wall Street Journal! Alexandria and Lorton: Free Concert Series! Lorton: New Youth Center at Workhouse! Virginia State Football Championship: Dec 10th! Lorton VA: New Bus Service to NYC! 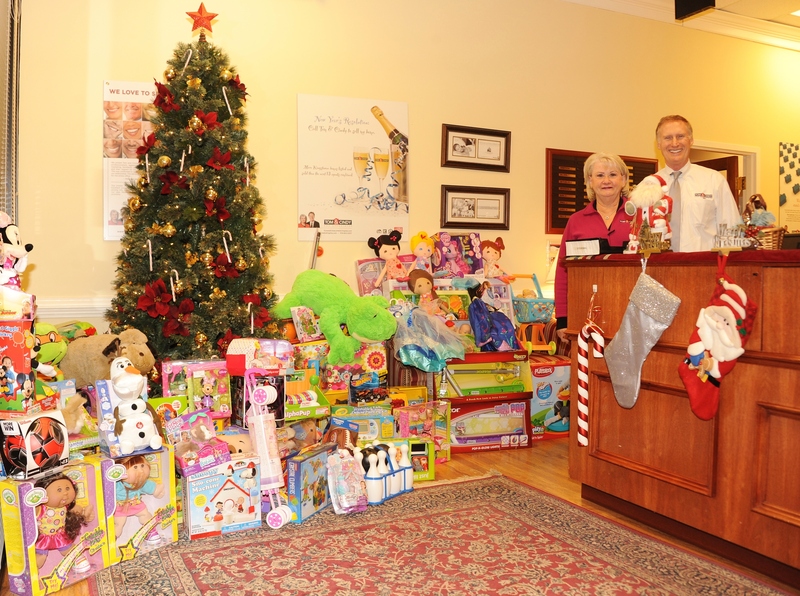 Toys for Tots Campaign: Drop off Toys at Our Office! Need an escape from Black Friday shopping? Military That PCS’d to Northern VA: Do You Still Own a Home? Still Not Sure About Buying a Home in Northern Virginia? Waterfront Condo… in Falls Church?! Interest Rates Continue to Fall; Near Record Lows Recorded! Top Northern VA Realtors Get YOU More! Check Out Pearmund Cellars in VA Wine Country! Cindys grandson competing for Best Ranger! Welcome to The Northern Virginia Real Estate Blog!